After my last horrible experice at Jari Spa through a group deal, you’d think I’d never buy another group deal spa/facial package. Well, you thought wrong haha! Not long after that, the Salon Mythbusters team of Xin and I purchased a voucher for a facial. 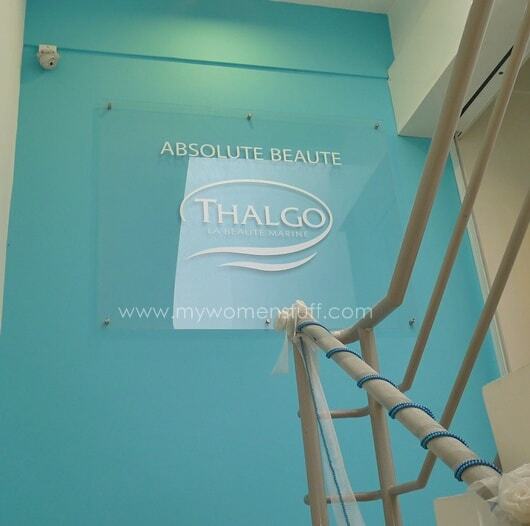 It cost us RM68 for services worth RM442 for a Thalgo face, body and hand therapy at one Absolute Beaute – a new facial salon at Sunway Giza Mall. Absolute Beaute is on the first floor, and is for females only. This facial salon is quite new, about 8 months old but business looked good. When we got there, there were customers just finishing up but for some reason I was left with the impression that there were only 2 facial therapists there. At least I only ever saw 2. Being new, we were asked to fill in a form with lots of nosy little details. Quite normal. We were also served a nice lychee tea which was pleasant, and because there was no staff around, we were pretty much left to ourselves in the comfortable waiting area. The waiting area is large and they do sell Thalgo products which interested me somewhat, since I’d heard of them. I think these are salon only brands so you can’t get them just anywhere. But I do wish they had reduced the size of the waiting area and done something to their facial rooms, because this was my room. Yep, that’s pretty much literally it. A bed in a narrow room with a shelf on the wall where I could put my bag, and a curtain for a door. Nothing else. And this was a problem because the facial therapist had to leave the room every time, to take products and water and this and that. Not good. Time wasting is high on my list of “What to look out for in a facial”. The facial itself was pretty well executed. It was a hydrating and firming facial and I have no complaints about execution or products used. Nothing quite stood out in my mind though except for right at the end when this icy roller was rolled all over my face to “close your pores”. That was absolutely fascinating! After the facial was over (and this got a bit strange) they proceeded with the back treatment. Basically, they gave you a back scrub and then had this machine blow chilling cold air on your back for something like 20 minutes which is supposed to be anti bacterial. Now why I say its strange is because you have to lie on your front for this treatment, and you’ve just had a facial! You don’t really want to put your face back down on the towel do you? I’d have preferred if they do the back treatment first and then the facial. It makes sense. Part of the package was a paraffin hand mask and when I was told after the cold air was turned off that that was it, I got suspicious. Was I to be denied my hand treatment, as I was denied my steam bath at the spa? I wasn’t. What happened was that I was placed in a little room with a glass of tea and a cookie and then they took the opportunity to try to sell me a facial package. Ah here we go… To be fair, the package did sound terribly tempting price wise but I declined because Sunway Giza is just too inconvenient for me to get to from where I live. And to be fair to the lady, she did not push it when I said no. Only then was I allowed to have the paraffin wax hand treatment, which is basically dipping your hands into warm paraffin wax, letting it harden and then removing it. Took all of 3 minutes. The total time I spent there was about 2 hours. Would I have paid RM442? No I wouldn’t. I might like my luxuries but I have my limits 😛 The regular price for a Thalgogive Firming Facial is RM210 which I might have been hardpressed to shell out money for. 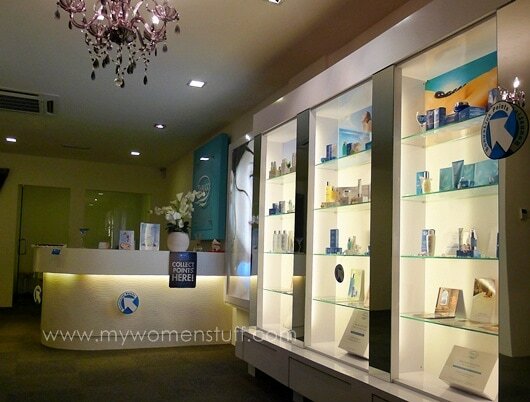 The package deal offered was for 3 similar facials at RM399 inclusive of eye and neck massage. See just how low the prices can go? Of course you wouldn’t pay full price either right? Conclusion: Try this, if you live around the area and if they’d give you a first time discount. Never underestimate the practicality of finding a facial salon near your home. 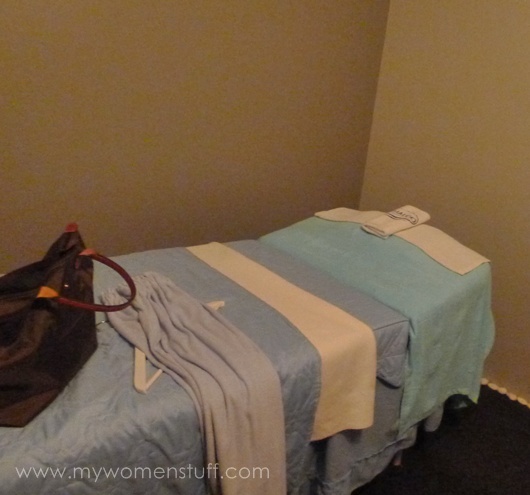 They could improve on the treatment room I was put in, but service wise, it was a good deal. Have you been there? Or have you tried any Thalgo products before? I was quite interested in some of their skincare – I’d read about Thalgo before but as their products are so elusive, I never got round to trying any. i had the same thought about the body scrub after having facial. i didn’t put my face on the towel, instead i let my head dangling out from the bed. HAHA! That must have been uncomfortable. I laid my head on my arm which was just as uncomfortable. this salon vy near to my place. will hv a look/try ! Salon Mythbusters! Perfect name for the dynamic duo 🙂 The room looks a little sad bed against the wall, no decorations .. if I go to a salon/spa, ambience is pretty important. Haha… we would love to go round busting myths and being salon detectives, that’s for sure! 😉 My room was quite sad. I like facial/spa rooms with a lot of space or I feel cramped and its not fun. If there’s a face + body/back treatment to be done together, i always request that the body treatment be completed first. Usually the salon will agree although i have absolutely no idea why at all the salons i’ve ever tried, their normal procedure is to do the facial first. That’s a good point to bear in mind! I also never understand why the facial comes first when we’re going to be on our faces for the back treatment! Yes! The day I went, the traffic was horrendous! Luckily I was meeting friends first else I’d have been very late and probably very annoyed too.